I received this beautiful letter from an old friend and I was just in awe of her support and love towards me in this unwanted season of my life. 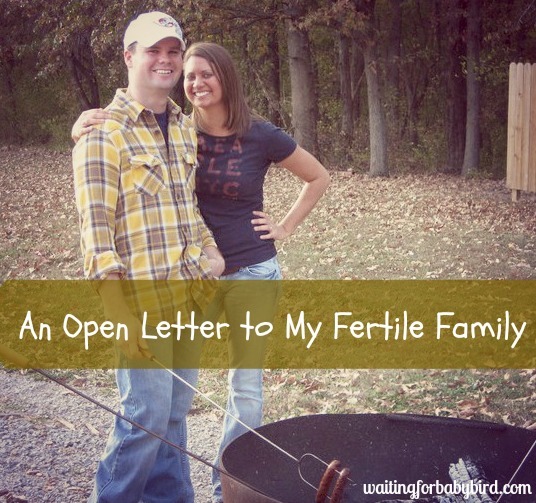 After reading her heart poured out into words, I just knew that there are thousands upon thousands of friends to those struggling to conceive who more than likely have the same thoughts and feelings as expressed in this letter, but for whatever reason, they have been unable to find the words to share them. 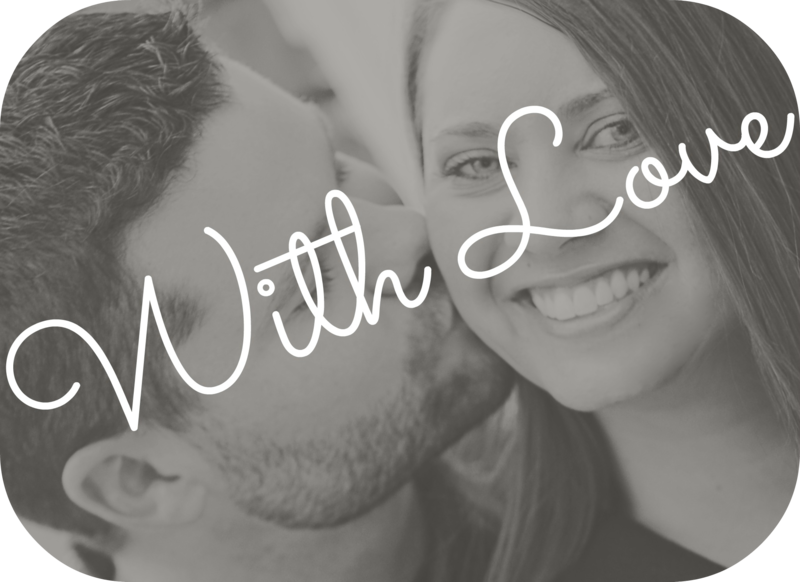 If that is you, my hope is that her letter can be used as a tool…a starting point…in order to communicate the love, the admiration, the support, and the encouragement you have to your sweet friend who struggles to fill their arms with the desire of their heart. I have wanted to write you this letter for months, but each time I sit down, the words fall short. 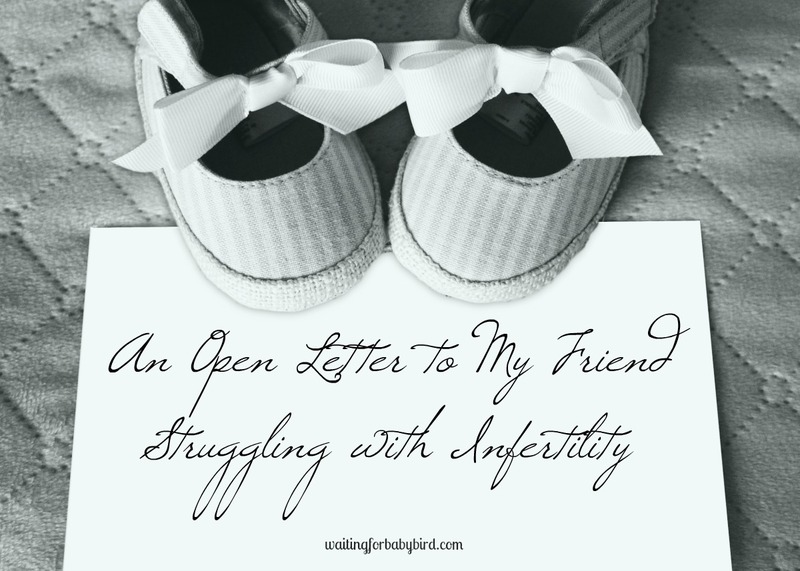 Even the emotion it took to decide if I should address you as my infertile friend or my friend who struggles with infertility was probably more than necessary, because I don’t want to offend. 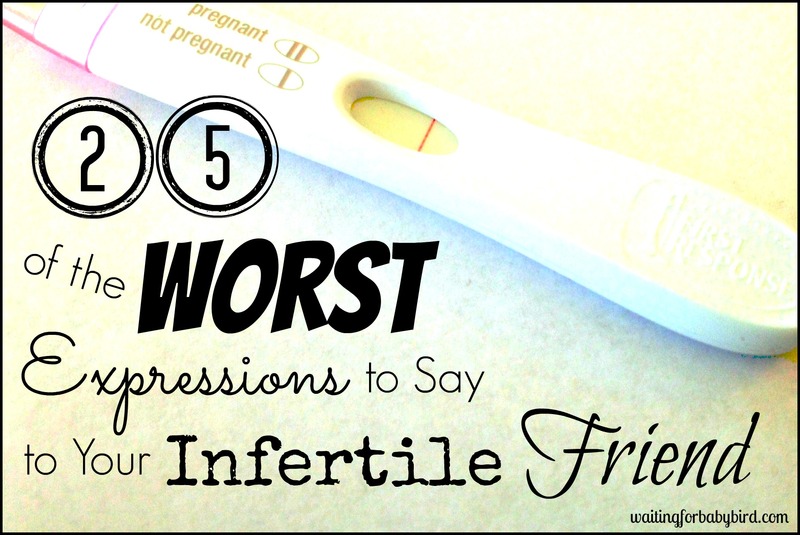 I don’t want to define you as my infertile friend. 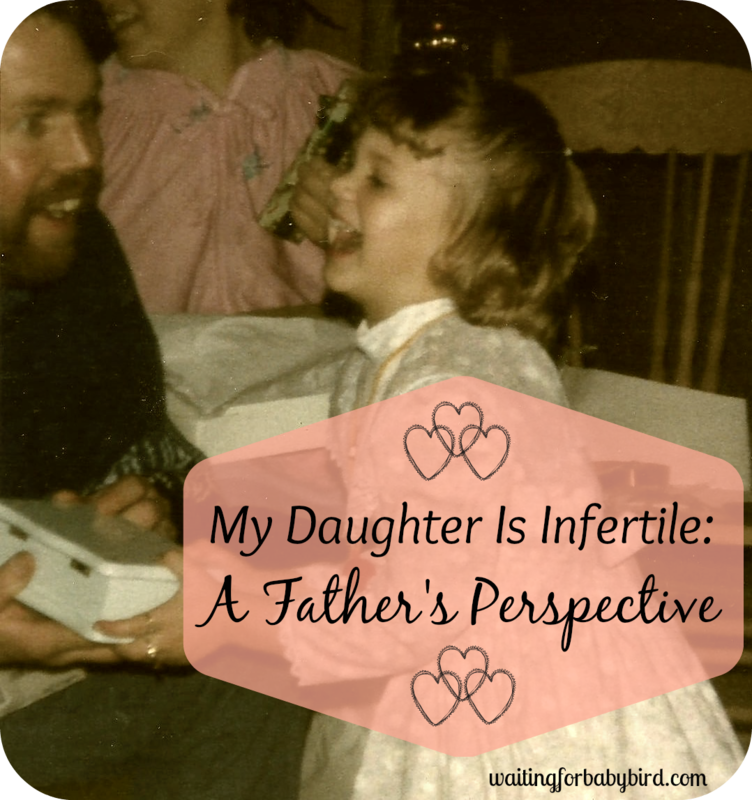 Because the words infertile and infertility do not define you and who you are. Instead, I would define you as my friend who has great faith in the midst of uncertainty. A friend who has immense courage to share her story in order to help others not feel alone. A friend who might bend, but not break. And a friend who continually speaks of hope even when all looks hopeless. 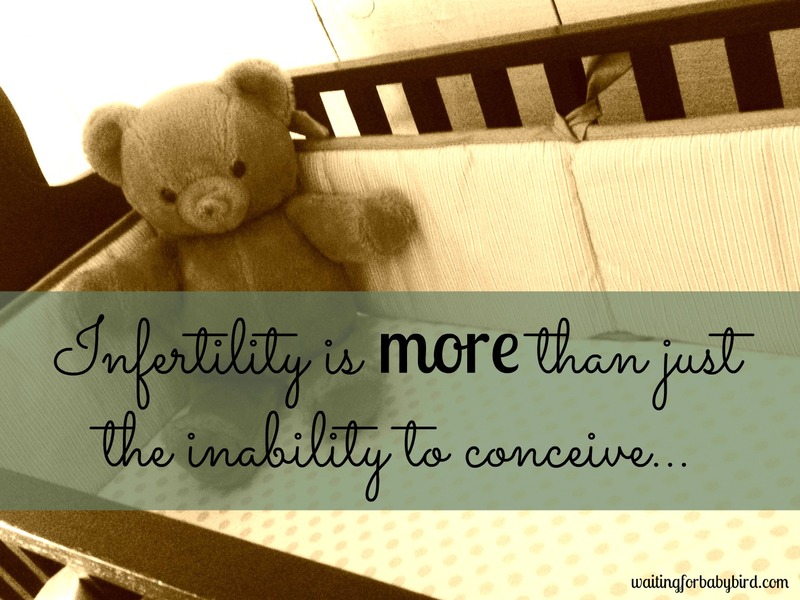 But with that said, don’t think for a moment that I don’t often think of the struggles you face due to infertility every day. Each time I post a picture on Facebook of my newborn baby girl or something awesome my son did that day, I think of you and your aching heart. I wonder if it would be more helpful if I hide the picture from you in order to shield you from any unnecessary pain. Or I think about how even if I hid it from you, what about the others? 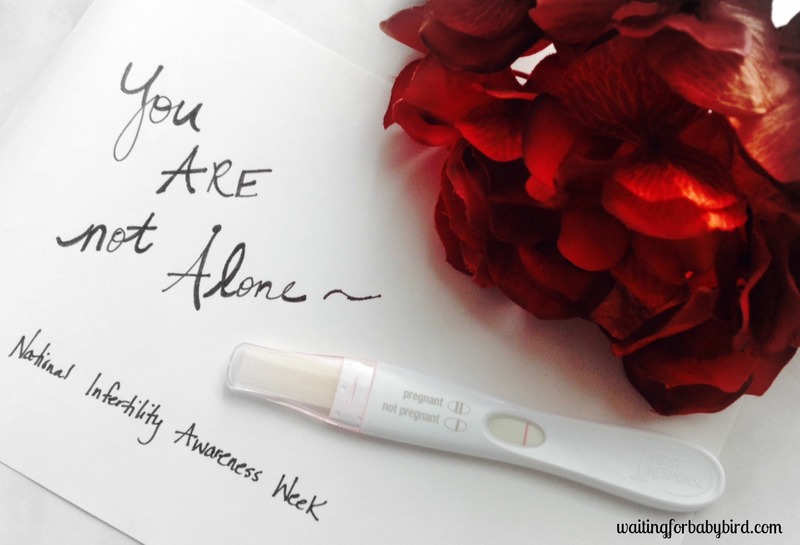 I know 1 in 8 couples struggle with this disease and so what if there is someone like you on my friends list dealing with the heartaches and intense emotions that infertility brings, yet I do not know because they have hidden it from me in secret. I don’t want for one second a picture that I share or a funny post about my children be the reason their soul…your soul…crashes that day. I don’t want anything I do to be a painful reminder of what you don’t have, but so desperately want. And so with that, I don’t blame you if you have hidden me from your newsfeed. I’m not quite sure what I would do if I were in your shoes. I often ask myself if I would I be able to handle seeing something I want so badly constantly be given to what seems like everyone else. And honestly, I don’t know. But what I do know is that you handle this better than I ever could. Your strength, while for an unfair reason, constantly makes me evaluate mine. Your constant grace, and unwavering faith, shows me where I lack and areas I need to grow in. You inspire me. Did you know that? I would venture to say you didn’t because I have never told you, but I think I should more often. I also think I should tell you as hopefully a source of encouragement to you that this journey you are on often brings me to my knees. I literally sob in deep sorrow for you often. There are times when I wake up and cannot go to back to sleep until I have prayed for you. I tell our heavenly Father that it’s not fair you are in this situation. It’s not fair that you have to endure the loss of your hopes and dreams. It’s not fair that you have to constantly watch your plans get shattered while the plans of others go fulfilled. I pray for every part of your body to line up according to how you were created. I pray for your womb to open and for life to form. I pray for your heart, that God would guard it and keep you while you wait. And then I end my prayer thanking Him in advance for the health and soon arrival of your future child. I also want you to know that I am sorry. It is in my nature to want to help; to fix things. And I want so badly to fix this for you; to take this pain you carry away. I can’t even tell you how many times I have asked my husband if we could have a baby for you. I realize this isn’t what you want, but it’s the only solution my mind can think of. I realize that because I don’t have a solution, this often leads me to give you advice that you have already tried, or give an encouraging speech that I hoped would lift your spirits but didn’t. And it’s because of all the times my words have caused you more pain than hope, I am sorry. I just don’t know what else to do sometimes. But what I am learning is that I don’t have to do anything. I just need to be there for you and listen. 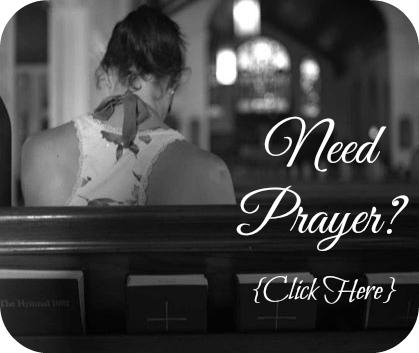 So instead of offering you my womb or advice you have heard a million times, or encouraging words that don’t seem so encouraging, I offer to you my silence in the form of my shoulder for you to cry on. I offer to you my time when you need to just vent, not figure out a solution. And I offer to you a fresh batch of chocolate chip cookies or those yummy fudgey brownies you like so much when you simply just want to curl up and not pretend to be okay after seeing yet another negative pregnancy test. But most of all, friend, I offer up my prayers because deep down I know He is hearing…and He is answering. I just wish, like you, He would hurry and answer sooner. I love you. I care for you. And I’m always here for you. ← Am I Not Good Enough for a Baby, God? What a beautiful, heart-felt message your friend was able to send you during this season! 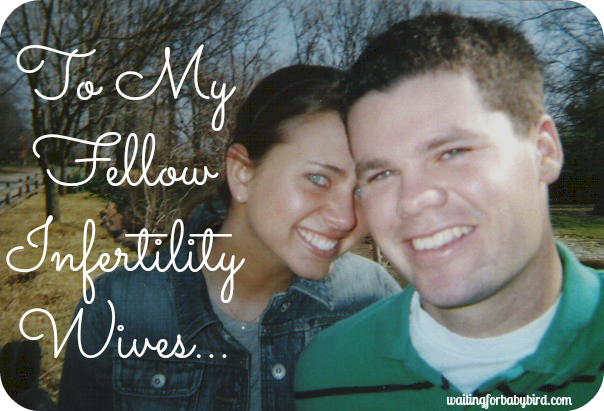 As the “infertile” one in my circle, I have lost some very close relationships during my own journey and I mourn those friendships every day. The sad truth is that most people who haven’t walked in these horrible shoes just aren’t equipped to be supportive to those of us who are hobbling around in them. It’s easier for them to cover their eyes and back away slowly for fear that the agony and disappointment is contagious… Your friend’s ability to express compassion towards you is precious and encouraging to me, as words like that have been hard to come by in my own experience. Thank you for sharing! Wow, this is so sweet! What a treasure of a friend you have! That letter is so incredibly thoughtful and heart felt. ❤ While there are so many people who don't, or can't understand what we've been through, it's nice that there are people who can take a step back and thing of others in such a big way. This is so beautiful and I’m bawling! Wow, what a very thoughtful friend you have. There were some things she wrote that triggered me and just revealed that she is clueless about infertility; however, the overall compassion and empathy she displays trumps all that. Usually, newer parents don’t care about us going through this journey, let alone put so much thought and time into a letter and send the letter. That has been my experience. She’s a keeper and a true jewel. This is so beautiful. It made me cry, but they were tears of both sorrow for those of us who are battling infertility, and tears of joy, for the friends like these that support us. So Lovely.